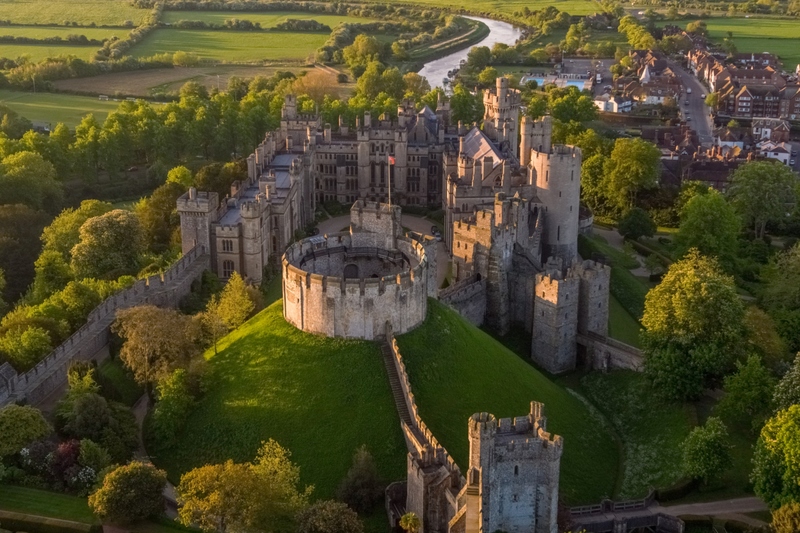 Roger Montgomery built Arundel Castle in the C11th, and it is now one of the oldest and most complete castles in England. It stands in superb grounds which look over the River Arun in West Sussex. 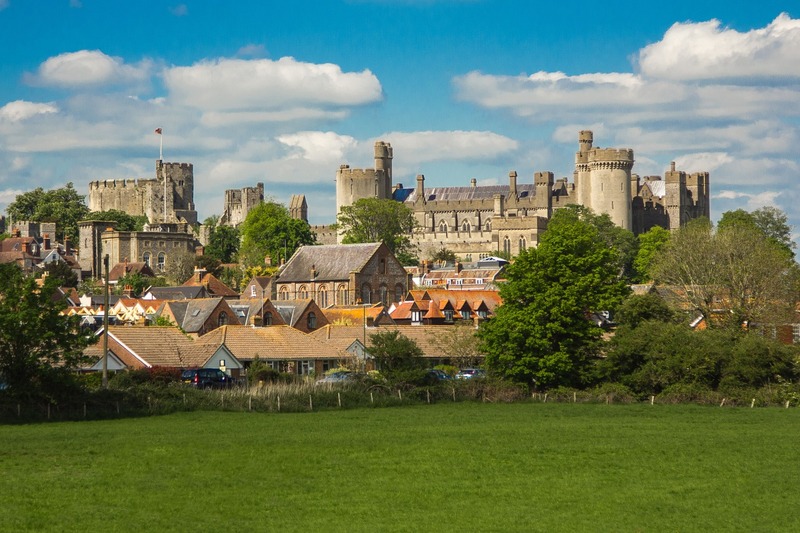 And this year it celebrates the 950th anniversary, and today is the family home of the 18th Duke of Norfolk. It has been home to some notable characters. 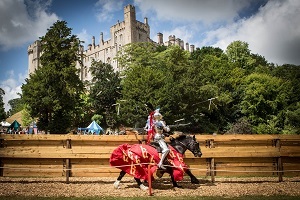 For centuries is was the seat of the influential Howard family whose members include Anne Boleyn, mother of Queen Elizabeth I, Catherine Howard, wife of Henry VIII. In addition we have Lord Howard of Effingham who, with Sir Francis Drake, fought off the Armada in 1588. However, it wasn’t all plain sailing for the Howards, several of them came to a sticky end. Henry VIII executed the 3rd Duke of Norfolk, the Poet Duke, in 1547. Elizabeth I be-headed the 4th for having his eyes on Mary Queen of Scots. The rich collection of historical artifacts is now on display for visitors to see. These include furniture, tapestries and works of art by Gainsborough, Van Dyke, Canaletto and others. 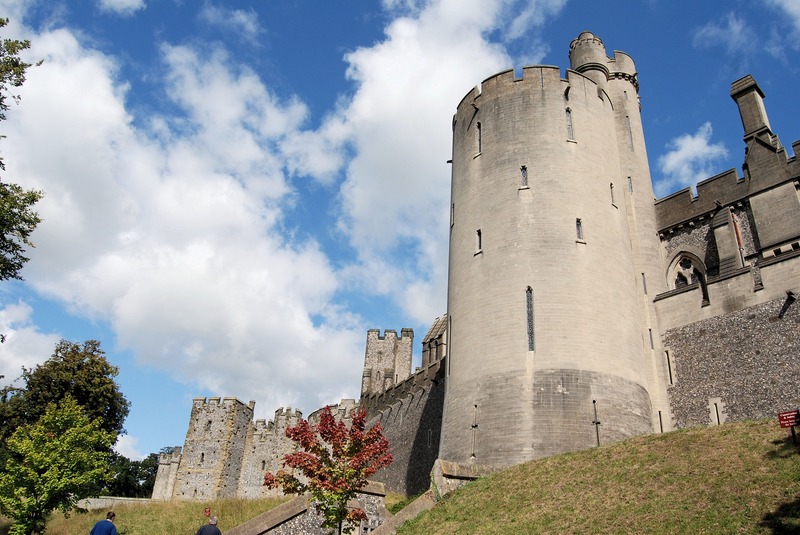 Visitors can enjoy a full day out with guided and free-flow tours of the finely preserved castle rooms. These include the Baron’s Hall, C14th Catholic Fitzalan Chapel, Regency Library and Victorian bedrooms. There is also a chance to ascend the Norman Motte and Keep, and enjoy The Collector Earl’s Garden which the Duchess of Norfolk established. HRH The Prince of Wales opened the garden in 2008. The Fitzalan Chapel dates from 1390 and is one of the country’s finest examples of Gothic architecture, . It has a carved timber roof and choir stalls, and carved stone tombs which are of artistic interest. Sussex Jams and Chutneys use produce from the Organic Kitchen Garden to make great products for the Castle gift shop. It isn’t just the chutneys that are local. Denise Ravenall’s ‘Made in Arundel’ range of candles and beauty products are available exclusively at the Castle gift shop.